Looks like Hamburg soon will be without a premier league soccer team as the HSV is teetering on the edge of the 2. Bundesliga. Unlike some places teams have to perform to stay in the top league which unfortunately the HSV has not been with its 7 wins – 6 ties -18 losses record. Cranky will take solace in the fact that there is at least a premier local pale ale. Naturally brewed under the German Reinheitsgebot but intriguingly using Cascade hops. Brewing styles are coming full circle from the Old World to the New World and back again. 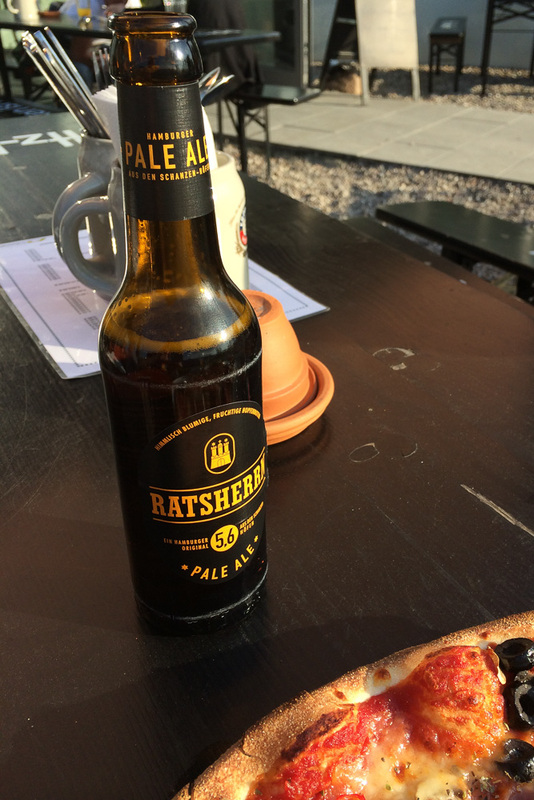 This entry was posted in Uncategorized and tagged beer, Bundesliga, Germany, Hamburg, Ratsherrn Pale Ale, Soccer on April 21, 2014 by cranky. 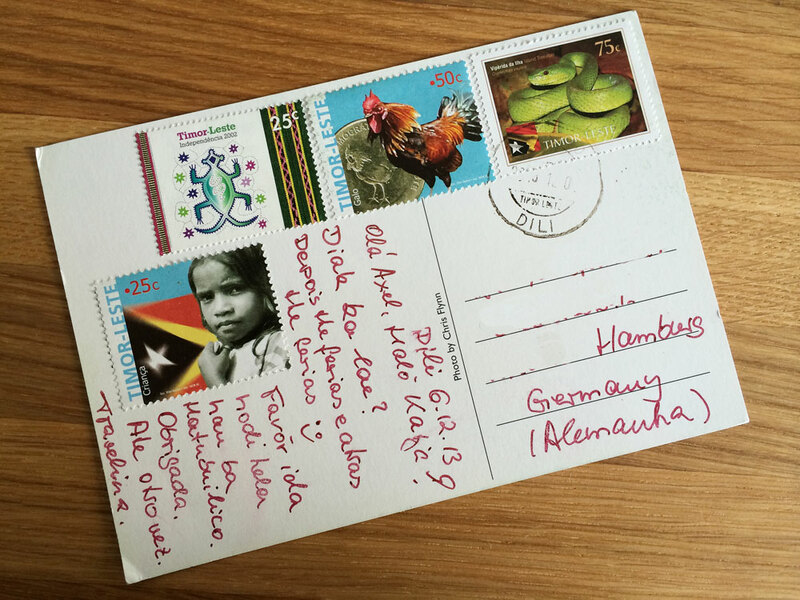 The other day we received our postcard from Timor Leste. We mailed it on December 6th in 2013, so it took about 134 days. The distance from Dili to Hamburg is 7734 miles as the crow flies, which works out to about 60 miles per day. 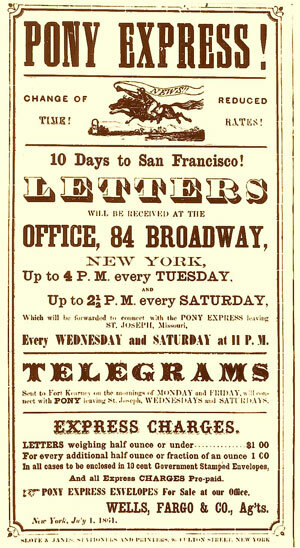 Going from New York to San Francisco in the 1860s the Pony Express travelled at 258 miles per day. We mailed a number of postcards on December 6th, 2013 at the central and only post office of Timor Leste in Dili. Did you get a card from us? How long did it take? This entry was posted in Uncategorized and tagged Dili, postal service, stamp, Timor-Leste on April 21, 2014 by cranky. Biking to the fabulous rock gym we were puzzled by this giant hunk of concrete. As we learned it was originally designed to assist the Führer’s troops in picking allied planes out of the sky before reaching Hamburg. This 1,860,867 ft^3 cubezilla now serves peaceful purposes. 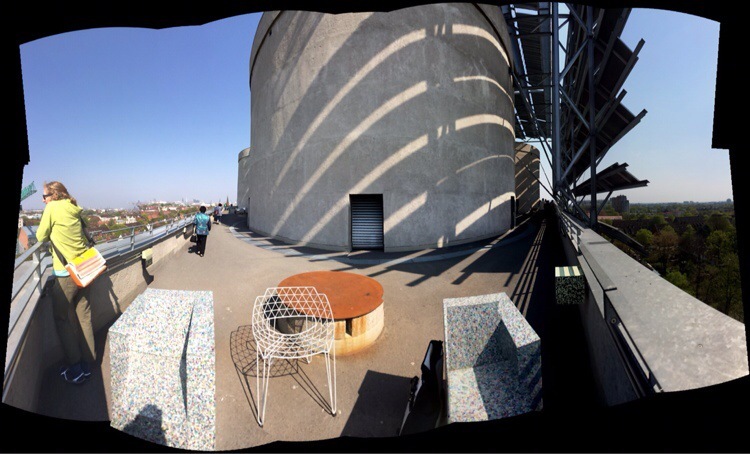 As the Energy Bunker, it stores thermal energy inside and has photovoltaic panels on top. We won’t pass judgement on the idea of harvesting the sun in usually cloudy Hamburg. This entry was posted in Uncategorized and tagged architecture, Hamburg; Germany on April 20, 2014 by cranky.